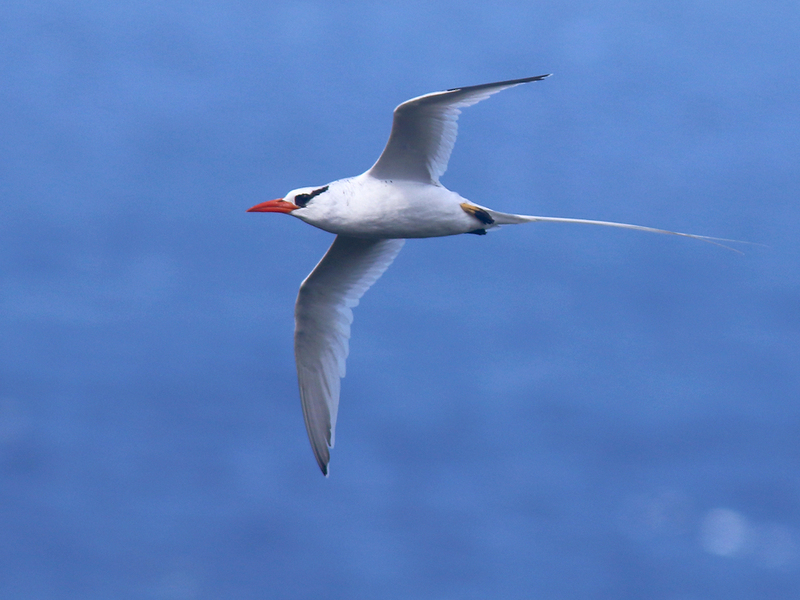 The crown jewel of Little Tobago Island, however, is a spectacular colony of Red-billed Tropicbirds. From our perch near the top of the island, we overlooked a glistening bay and dozens of these beautiful birds soaring above, below and right in front of us. Both species of booby were also nesting there.